The WiSec & PETS community together in Darmstadt's finest beer garden for drinks and dinner. The PETS and WiSec communities may dine together in the famous Frankenstein Castle in the Odenwald, where Mary Shelley was inspired to write her well known novel on Victor Frankenstein. A bus will transfer you from the conference center to the castle, where a memorable evening awaits you with a banquet dinner accompanied by authentic Minnesingers. 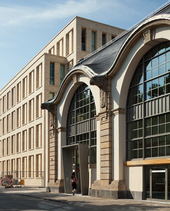 An all joint award ceremony of PETS, WiSec and IFIP TM participants will be held in the historical Maschinenhaus. Part of this night amongst the IFIP TM Best Paper Award is the Caspar Bowden PET Award, which is presented annually to researchers who have made an outstanding contribution to the theory, design, implementation, or deployment of privacy enhancing technology. It carries a cash prize as well as a physical award monument. Join this event and feel free to network with researchers of all three communities. Afterwards you may relax and dance to the sounds of DJ Sasha who will get the party started after sunset. 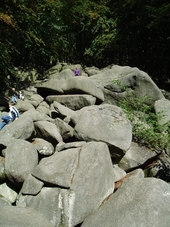 The Odenwald forest is characterized by over 500 million years of geological history and diverse natural surroundings. A bus will take the PETS community and other participants from Darmstadt in the morning to the forest, where they'll enjoy a guided hike in English around and through the famous "stone ocean" for about 3 hours. Lunch boxes will be provided. After the hike in the afternoon, the participants will gather in a traditional restaurant at the starting point for food and drinks. Around 5- 6 pm a bus will pick up the hikers at the restaurant, take them back to Darmstadt and drop them off at the original meeting point. The guided hiking route is about 6 km in total and includes longer uphill streches. If you have any questions, please contact Verena. After Hike, participants will enjoy a BBQ at the Kur Alpe restaurant. For 15€, hikers can enjoy the 'all you can eat' grilloption (turkey, pork, a varitey of different sausages, cheese, vegetables) and a salad buffet. Drinks are not included.